Childhood Obesity…We’ve Got SUPER-SIZED Problems! Childhood obesity is out-of-control and it’s time to do something about it! Little people grow into big people, and their little weight “problems” will grow into bigger problems too. There’s nothing “cute” about obesity, and there is no foundation that would lead us to believe that if a young child is obese, that they won’t carry that “problem” into adulthood along with a HOST of health problems as a result. Although beauty, value, and character can’t be measured in pounds, health and well-being sure can be! Criticism about “healthy weight” has nothing to do with a person’s appearance, and everything to do with how their health will look down the road UNLESS they take control of it now. With children as young as 3-years-old being diagnosed with Type 2 diabetes; we’ve got super-sized problems in America that must be addressed! A full 41.5% of 16-to-19-year-olds were overweight in 2015–2016, a jump from 36.7% just two years before. The numbers were even worse for girls in that age group: 47.9% of them were overweight, up from 35.6% in 2013–2014. 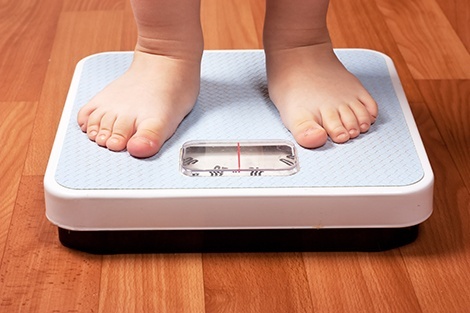 There was another worrisome trend among 2 to 5-year-olds, among whom 26% were overweight. If you look at the percentage that was not just overweight but obese, between 2013–2014 and 2015–2016, the percentage went from 9.3% to 13.7%. There are countless reasons for childhood obesity and none of it can be directed at the child. Barring some genetic disorder or undiagnosed medical condition that would cause a child to carry extra weight, the “problem” comes down to Mom and Dad. It’s not “big bones” or “just the way we are” or “heavy people run in our family” that’s the problem. Our DNA does not have to become our destiny, and our weight problems are not genetic. Instead, we pass along poor eating habits (or overeating habits) along to the next generation, and we excuse away their obesity as “normal” in the family. The majority of children in our society have two working parents, and fatigue often drives the food train. What’s easy? What’s quick? What will “go down” without an argument? What will keep “Johnny” quiet for a few minutes? It takes time and attention to prepare balanced meals for our children, and it takes discipline to offer them the proper portions. Parents fall prey to good marketing and advertising without even realizing it! McDonald’s became a leader in our world because they have always targeted our children through Happy Meals and the toys they market along with the food. From breakfast cereals to yogurt, parents often buy foods based on good advertising and not on good nutritional value. Parents who associate food with happiness or contentment will be more inclined to over-indulge their own children. Well-meaning as they might be, they’re setting up their children for eating disorders later on. If misery doesn’t want company, then good eating habits should be a family affair. Children always follow the lead of their parents…good and bad behavior is taught by example. “Do as I say…not as I do” doesn’t fare well when it comes to healthy eating habits. Limited amounts of activity is a close-second to overeating when it comes to obesity. Technology has taken the place of the playground, and our schools have reduced (or eliminated) recess time. Children need fresh air, exercise, a well-balanced diet, and proper hydration in order to be healthy. When all of these things are a routine part of a child’s day; obesity doesn’t stand a chance with a child OR an adult. “Variety is the spice of life” and a healthy variety in the diet makes for a healthy child. Large quantities of one food is not the same as reasonable portions of a variety of foods; not when it comes to digestion OR nutrition. As a healthy (and friendly) reminder, here is the recommended food pyramid for children under the age of 5. When it comes to portions, the recommended rule-of-thumb portion size is one tablespoon per year of age. There isn’t much any of us can do to force an adult to adhere to well-balanced meals and reasonable portions, but there IS A LOT we can do to be sure that children do. Our kids are tipping the scales and headed for disaster…physically and emotionally if we fail to do our part to introduce them to a healthy lifestyle. A well-balanced diet…fresh air…plenty of exercise and LOTS of healthy water! I’m doing my part! How about you? About the Author: Lynn Gardner is a force to reckon with in the environmental world – especially when it comes to our children and all the ways their health is in jeopardy because of environmental toxins in our water, our food, and our air. If you’d like more information on ways YOU can get involved in changing the world for the next generation be sure to reach out! lynn@livinglarger.life or 202.241.1542. ← No Wonder Kids Are Hormonal!